New ways to pay: Consumers embrace contactless cards while eschewing mobile payments. What’s up with mobile payments? They’re the epitome of convenience … and yet most people haven’t taken the plunge. It’s not as if major retail establishments haven’t begun offering mobile payment capabilities. Apple Pay is now available at three-fourths of the top 100 merchants in the United States (and at two-thirds of all U.S. retail locations overall.) The stats for Google (Android) Pay are much the same. But just because the capability is available doesn’t mean that people will start using it. Juniper Research recently analyzed the payment behaviors of consumers in the United States and UK. It found that just 14% are using mobile payments for in-store purchases. And even before mobile payments have had much chance to get out of the starting gate, another payment option — contactless credit cards — appears to steal their thunder. 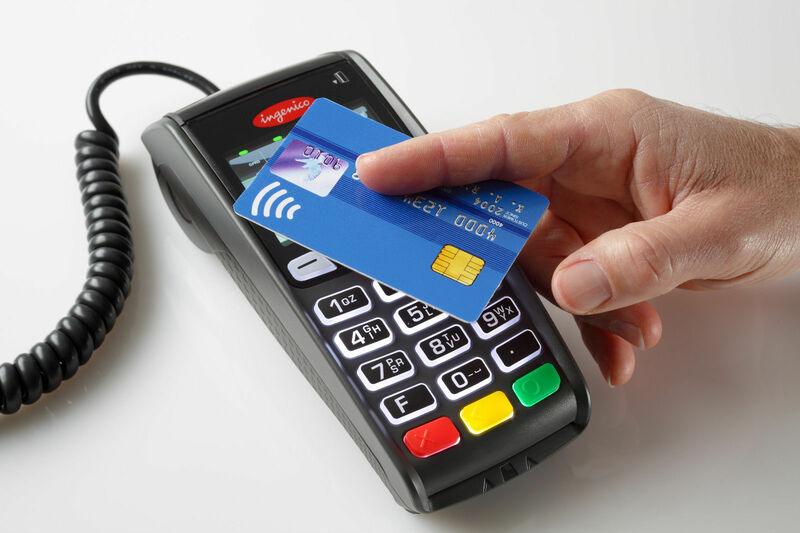 Contactless cards act very similar to the way a mobile device would — by simply tapping a terminal at checkout. Actually, contactless technology isn’t exactly new; MasterCard introduced cards more than a decade ago, and a number of transit authorities like the Chicago and London subway systems were early adopters. But a critical mass has now been achieved, and market consulting firm ABI Research projects that by 2022, 2.3 billion contactless cards will be issued annually. Companies such as Amex and Capital One are already in it in a big way, and Chase started sending out contactless cards towards the end of 2018. For consumers, the “tap-and-go” process of these cards takes only a few seconds — in other words, far faster than EMV chip cards that are the most prevalent current practice. Although a few observers disagree, it’s generally believed that contactless cards are nearly as safe to use as chip cards. Accordingly, the vast majority of card issuers have zero-liability guarantees against fraud, figuring that the faster speed at checkout is worth it to consumers and vendors when weighed against the marginally higher security risk. What are your preferred payment practices … and why?